Coca-Cola Fanta Clearly Mix Yogur Banana 490 m. Fanta Clearly Mix Yogur Banana. NEW 1 (ONE) CAN OF 2019 COCA-COLA COKE ORANGE VANILLA FLAVORED SODA. 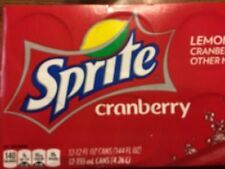 EACH CAN IS 12 OZ. New ListingGAME OF THRONES - LARGE COFFEE MUG - HEAR ME ROAR Slogan - GREAT CONDITION !!! Fanta Malinna 500ml. Malinna is Polish for Raspberry. Bright, bubbly and popular, Fanta is the orange soft drink with a tingly, fruity and bold taste. 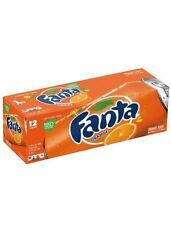 For sale is 1 box of Fanta Soft Drinks total of 20 cans. For those who wish to have Red Bull’s benefits without sugars: The sugar free variant Red Bull Sugarfree provides the wings of Red Bull Energy Drinks without sugars. Taurine: Taurine is an amino acid, naturally occurring in the human body and present in the daily diet. Original TARHUN Tarchun Retro Sparkling Soft Drink Glass Bottle 0.5L 16.9fl. oz. Original TARHUN Retro Sparkling Soft Drink. Food & beverages. Tarkhuna (Georgian: ტარხუნა) is a Georgian carbonated soft drink that is flavored with tarragon or woodruff. Retro tarragon flavor. 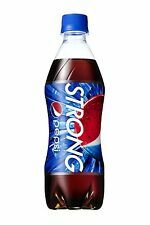 Full Factory Sealed Glass Bottle. 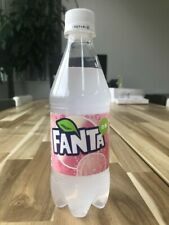 2X Limited Edition Fanta White Yellow Peach 410ml. Japan Soft Drink - Coca Cola Fanta Japan. From Japan with LOVE. We speak English, French, Portuguese and Japanese. and duties that may apply. Trending at C $43.30eBay determines this price through a machine-learned model of the product's sale prices within the last 90 days. 18 CANS OF COCA COLA CANADIAN MADE (355ML x18) . THE TASTE IS TOTALLY DIFFERANT THAN ITS FRIEND IN THE USA. GIVE IT A SAMPLE, YOU WILL BE SURPRISED AS WELL! Clear Crush Soda Cream And Ketchup Chips (EXCLUSIVE FROM CANANA ONLY)! 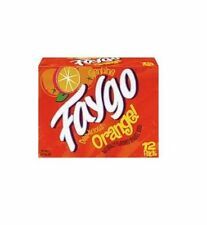 Faygo. Cotton Candy Flavored Soda. Caffeine free, 2 liters. Ships today. Faygo Cotton Candy Soda. 2 liters. Condition is New. Shipped with USPS Priority Mail. This stuff is great, kids love it. Additional flavors and/or sizes are available upon request. Coca Cola Bottle Sakura (Sealed) x1. - Coca Cola Bottle Plum Blossom (Sealed) x1. - Coca Cola Bottle Maple (Sealed) x1. - Coca Cola Bottle Firework (Sealed) x1. Bottle Coke Collector Set. - Aluminium Bottle. 1 BOTTLE OF JONES CREAM SODA - CLEAR (355ml) . Mr Freeze 48 Count(1.42oz) Case Pack 48x42ml=2016ml Ice Pop direct from Canada. 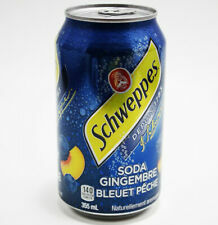 2X can 250ml. Coca-Cola Japan. From Japan with LOVE. that any claims about missing or delaying. and duties that may apply. Nothing beats the taste of Coca-Cola Classic. Refresh with the authentic Coke taste, unchanged for over 129 years. For sale is 1 box of Original Coke Cans total of 36 cans. Red Bull Sugarfree is Red Bull Energy Drink, but sugar free. Only 5 calories per each Red Bull Sugarfree can of 250 ml. Case of twenty-four (24) 250 ml Red Bull Sugarfree cans.